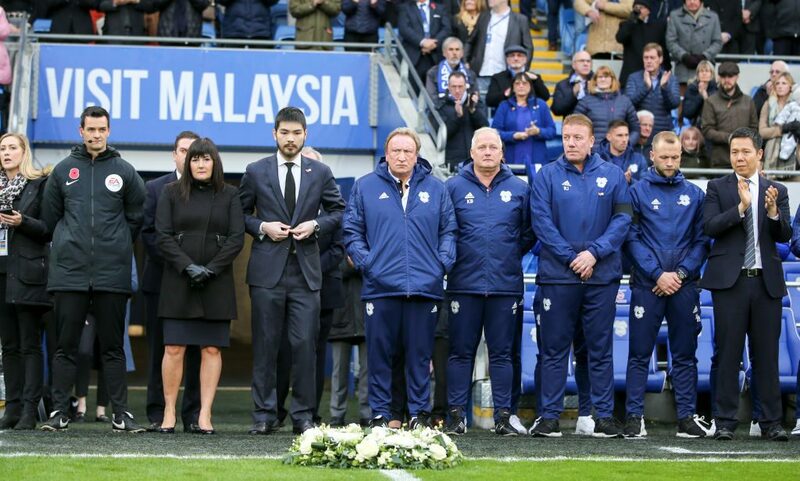 Leicester’s grief-stricken players paid an emotional tribute to Vichai Srivaddhanaprabha ahead of their Premier League clash at Cardiff on Saturday as the devastated club returned to action for the first time since their owner’s tragic death. Vichai was adored in Leicester after his eight-year reign peaked in 2016 when the 5,000-1 outsiders became Premier League champions in astonishing style. With Vichai’s funeral underway on Saturday in Bangkok, Leicester headed to Cardiff for a match that served as a chance to honour their late owner and begin the healing process. Cardiff ensured Leicester’s grieving fans and players were received with sympathy and understanding. The Bluebirds introduced the hashtag ‘TogetherForLeicester’ for the game to show unity following a tragedy that rendered the action on the pitch irrelevant. Cardiff owner Vincent Tan paid tribute to Vichai in the matchday programme. “This week the thoughts and prayers of Cardiff City Football Club have been with our friends at Leicester City,” the message read. “Today, in the saddest of circumstances, we stand alongside them in memory of those lost last weekend. The Leicester players, ahead of that memorable title-winning season, needed to have belief instilled in them. Sombre Leicester supporters unfurled a Thai flag saying ‘Khun Vichai Then Now and Forever Your Ambition Achieved Our Dreams’ outside the away end before the turnstiles opened. Once inside the ground, most Leicester fans wore white T-shirts emblazoned with the slogan ‘The Boss’ and a picture of Vichai on the front, and on the back ‘Khun Vichai You Will Be Forever In Our Hearts’. The players warmed up in similar T-shirts over their training gear. 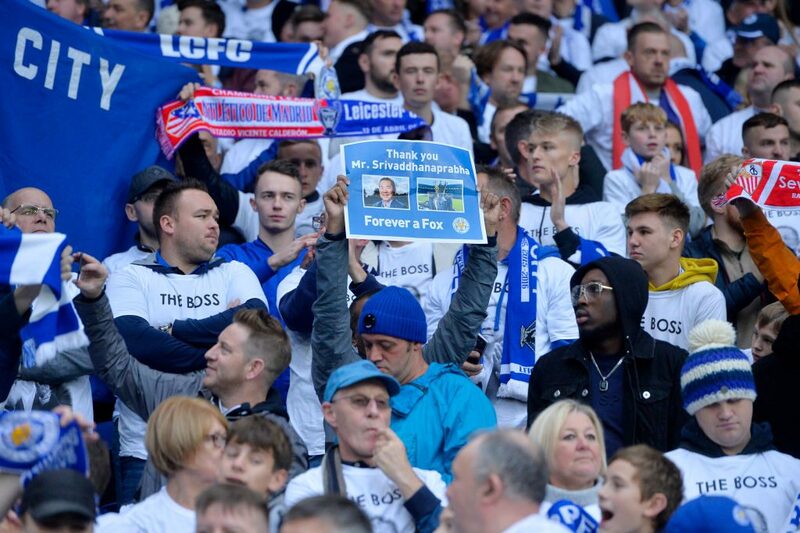 One of the most poignant moments came when Leicester’s players turned to the Cardiff supporters a few yards along the stand from their own fans and were greeted by huge applause, reflecting the universal sympathy for the heart-broken team. A giant Thai flag with both clubs’ crests on it and in giant lettering ‘RIP Vichai’ was passed from the home fans to the visiting supporters. A wreath on the field ahead of kick-off, with Leicester’s entire squad and club staff linking arms on the centre circle for an impeccably observed minute’s silence before the game, while fans held their scarves aloft in tribute to their much-loved owner. Three minutes into the match, Leicester’s fans broke into a rendition of ‘When You’re Smiling’, the anthem that sound-tracked happier days during the club’s title triumph.